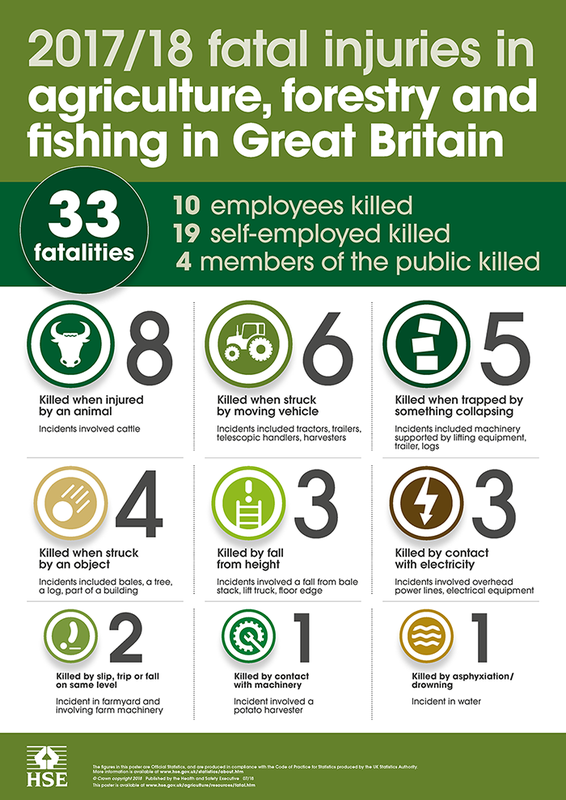 Figures published in the Health and Safety Executive’s report ‘Fatal injuries in agriculture, forestry and fishing in Great Britain 2017/18’ show 33 people were killed as a result of farming and other agriculture-related activities during the year. Being injured by an animal – work with and near cattle caused the most deaths. Agriculture has the highest rate of fatal injury of all the main industry sectors, around 18 times higher than the All Industry rate. Nearly half of the agricultural workers killed were over 65.